Deals Seeker: Four Years of Star Alliance Gold for only 19,000 miles with Aegean Airlines! Four Years of Star Alliance Gold for only 19,000 miles with Aegean Airlines! Enroll in Aegean Airlines, a Star Alliance partner and receive 1,000 free frequent flier miles. Then fly on any star alliance partner and credit the miles to Aegean Airlines until you reach 3,000 miles for Silver Status or 19,000 for Gold Status for a total of 4,000 for Silver and 20,000 miles for Gold. With Aegean Airlines Silver/Gold Status you get Star Alliance Silver/Gold Status until 12/31/2015! To be able to continue to receive these benefits for another 3 years, as of the rules now, you would just need to credit another flight to Aegean Airlines. What are the benefits of Star Alliance Silver or Gold Status? 1. Priority Reservations Waitlisting: If a seat becomes available on a preferred flight, you get priority. This benefit does not apply for award tickets! 2. Priority Airport Standby: You get priority when awaiting an opening in flight availability. This benefit does not apply for award tickets! 3. Priority Airport Check-in: Check-in at the First Class or Business Class Counter. 4. Priority Baggage Handling: Your bags are among the first to come out. 5. Extra Baggage Allowance: an additional 20kg in luggage or extra piece, depending on which airline you fly. For Continental/United flyers this will amount to 3 checked bags (70lbs. each) and for US Airways, 2 checked bags. 6. Priority Boarding: Enter the airplane with First and Business Class and before Economy Class. This benefit isn't available everywhere, like Tel Aviv. 7. Airport Lounge Access: You and a friend can enjoy 900+ Star Alliance Airport Lounge access as long as you both are traveling on a Star Alliance partner. You don't need to both be flying on the same flight. How can I take advantage of my Aegean Airlines Silver or Gold Status if I want to credit the miles to say, United Airlines? When flying on any Star Alliance partners, see below. You will need to use the Aegean Airlines frequent flier number assigned to you, otherwise you will not receive any of the above benefits. Check-in your bags, enjoy lounge access and then either in the lounge or at the gate, ask to change the frequent flier number you used and give them the one you wish to credit this flight's miles to. My husband has Silver Status with Continental and I have really wished for him to have Lounge Access for when he has stopovers and be able to receive extra baggage allowance (3 checked bags). I am really excited about him being able to get Star Alliance Gold Status with 19,000 miles as opposed to Continental/United's 50,000 mile requirement. His next 1.5 roundtrips from TLV to EWR will have to be sacrificed to Aegean Airlines to receive these benefits, but I think it will be well worth it. Thoroughly check the booking classes to make sure you will earn miles. Please check here, before you book a ticket to confirm that the above information is correct. 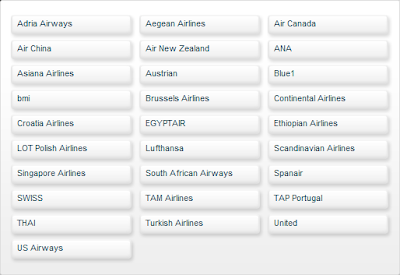 Status matching is when you contact another airline and request to receive the same status on their airline as you have with another airline. Since you will have Aegean Airlines Gold, you can request to be status matched to another airline. Drivers License, Aegean's Gold Elite Card with membership number and most recent mileage activity statement. Or mail to: Alaska Customer Care, PO Box 24948-SEAGT, Seatle, WA 98124. -Czeck OK Plus- This is a skyteam partner, book a flight on Czech Airlines and then fill in the application and send with your elite member card. Hat tip to Dan's Deals!